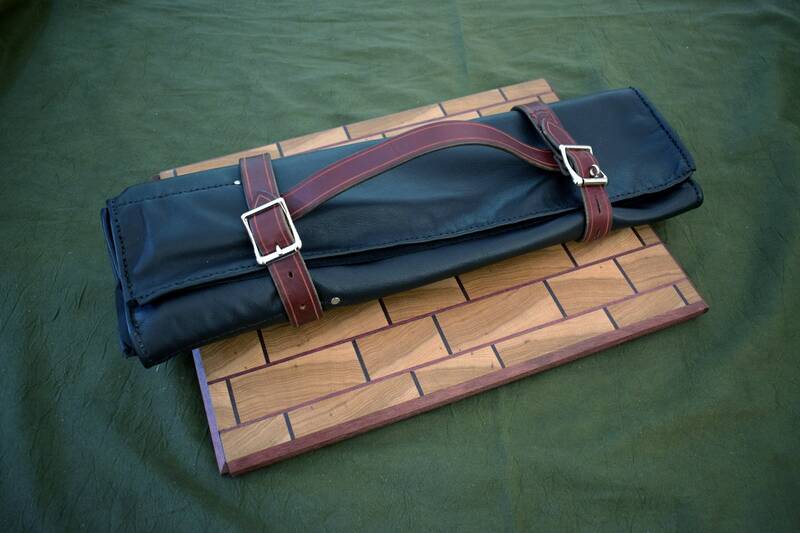 This is a handmade leather knife roll. 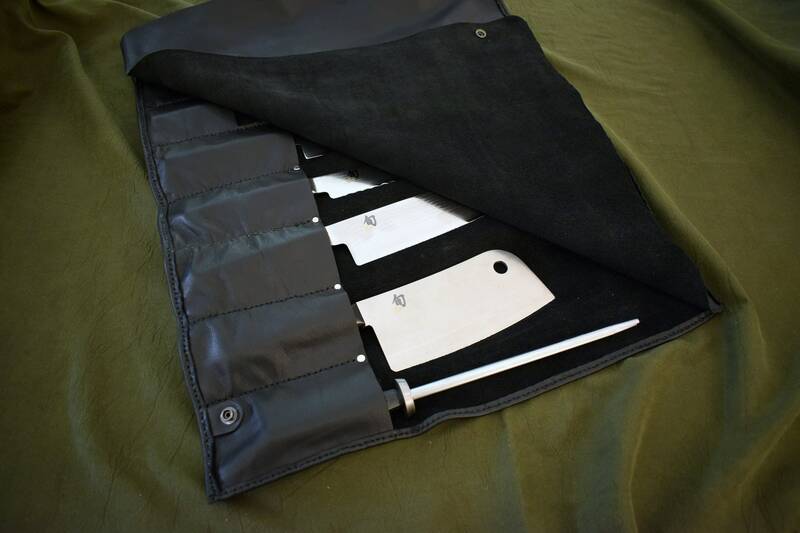 Each roll is made of soft 3-4 ounce cowhide, with a 9-10 ounce latigo handle and 2 8-10 ounce buckled straps to keep the roll closed. 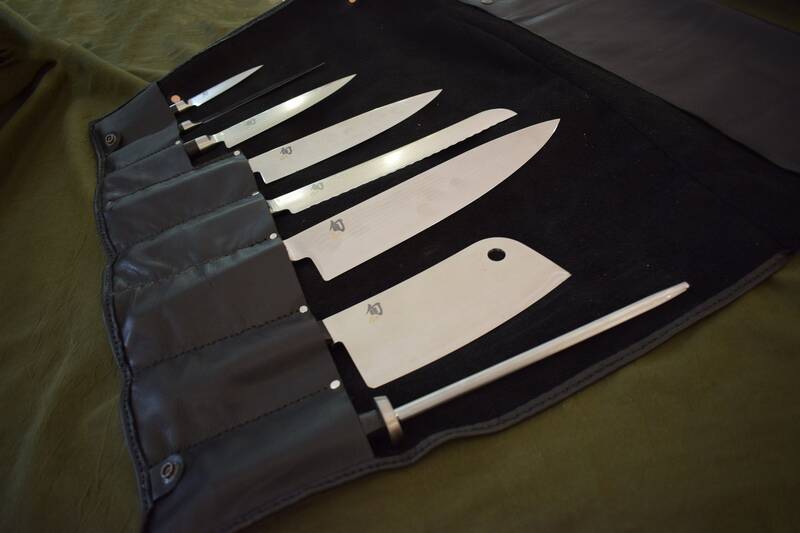 The roll features a flap that snaps down over the knives to protect them from each-other during transport. 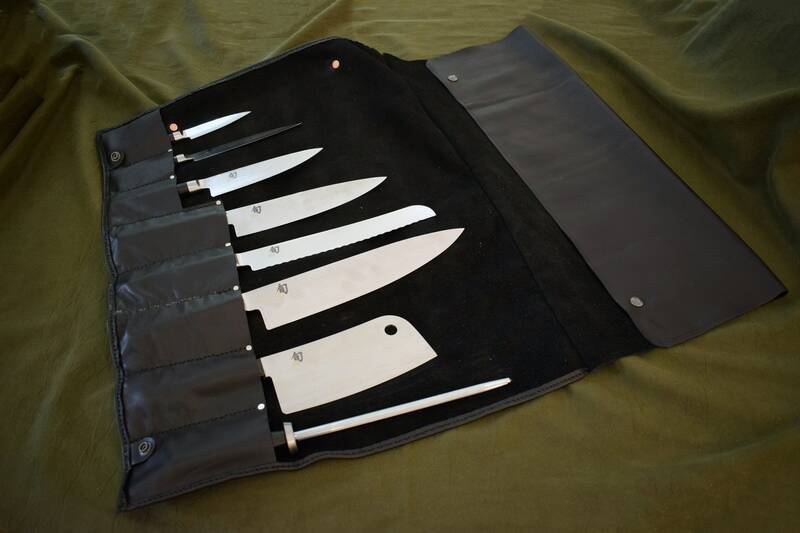 One of the straps will feature a buckle with a loop that you can attack a small lock to to keep your knives secure. There are many options for color on the main body of the roll, and many more options not listed. Feel free to message me for details. 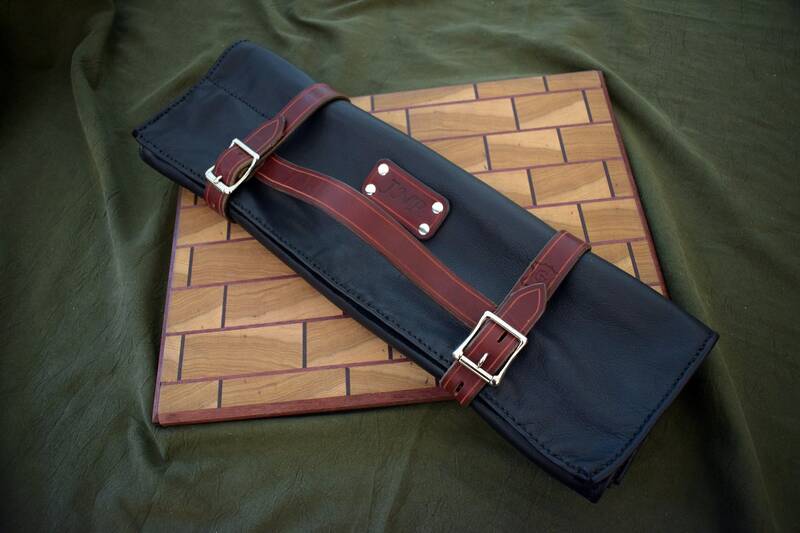 If you'd like a larger or smaller roll, or want customization in any way, feel free to message me to discuss details. Thrilled with the attention to detail and personalized monogram!